Poland has embraced gold this summer, purchasing the yellow metal at a pace not seen in 20 years, according to the International Monetary Fund data. The Treasury Department declined to comment when asked whether the U.S. was entering a currency war. The greenback will likely continue to suffer as investors heed Trump and back out of long dollar wagers, according to Shahab Jalinoos, Credit Suisse Group AG's global head of FX trading strategy. 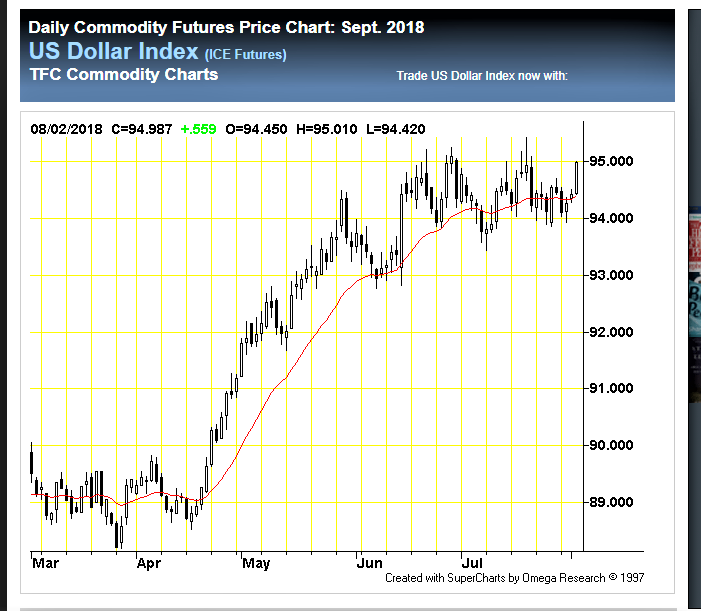 Hedge funds and other speculators are the most bullish on the currency in over a year, according to the latest data from the Commodity Futures Trading Commission. "It has now been virtually defined as a currency war by the U.S. president, given that he explicitly suggested foreign countries are manipulating exchange rates for competitive purposes," Jalinoos said. "The barrage of commentary will likely force the market to scale back long dollar positions." Great interview here on Gold, inflation etc.